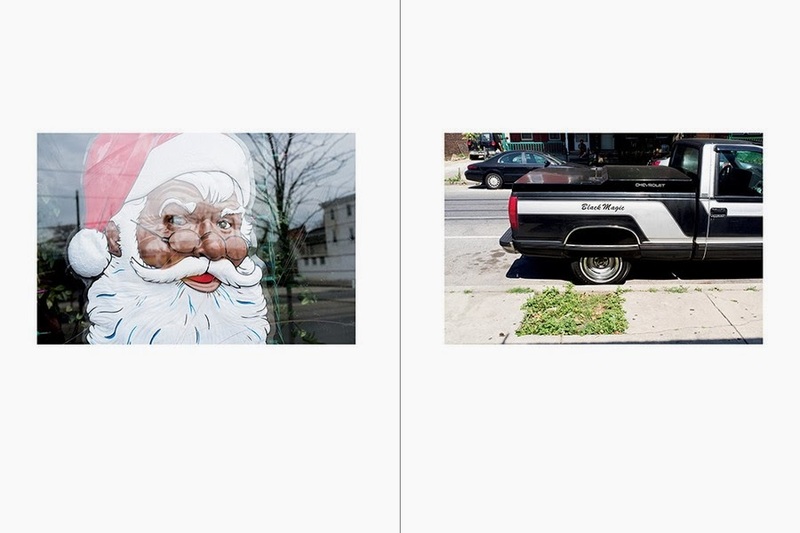 Briar Patch is a visual exploration of West Philadelphia today, punctuated by intimate and loving exchanges between photographer Jordan Baumgarten and his fiancée, Anne. 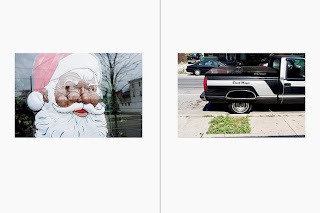 In an effort to acclimate to their new city post-college, Baumgarten began photographing his Philadelphia neighborhood while simultaneously photographing the tender moments shared between him and his fiancée in their first home. What emerged was a strange and complex symbiotic relationship between the grisly, violent West Philadelphia neighborhood and the loving kindness shared between the couple within the comforts of their own home. Further complicating the polarity between the world outside and the world within, Baumgarten began carrying a firearm for protection. 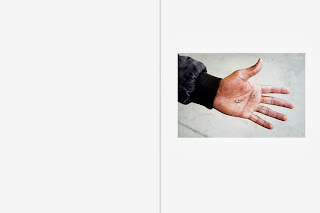 The thin veil between these two worlds shades the book's forty-seven color photographs with a looming anxiety. A dead mouse in a mousetrap within their home hints at the perils of the world outside the couple’s door. Bloody footprints lead to nowhere. Baumgarten’s controlled compositions and keen eye pay mind to the fine line between outside and inside, self and other, love and war. 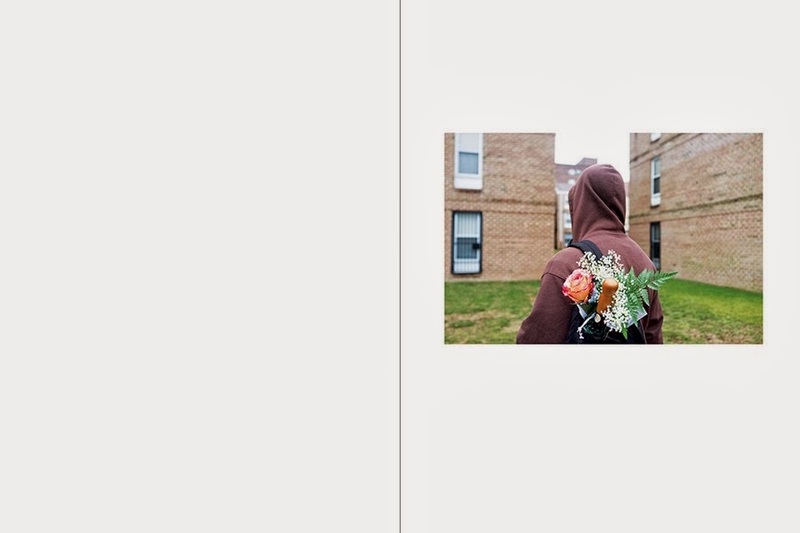 Erin Azouz: How did this series of photographs come about? Jordan Baumgarten: It was kind of a two-step process: The shooting of the images and its evolution into an actual book project. After graduate school, my fiancée and I moved back to Philly. We had been gone for a couple of years, we had significantly less money than before school so we moved to where we could afford the rent, which in turn ended up putting us in a neighborhood that was incredibly unfamiliar to us. I simply started making photos there as a means to familiarize myself with the new neighborhood, figure out my relationship with this city, as well as this new life I had. I would shoot photos walking to the store, walking to the train to grab to downtown to go teach, light in this new house we were living in, and the life I shared with my fiancée while we shared our first home together. We had moved back to the city when it was cold out; nobody was outside and it looked like a pretty fine place to live. It wasn’t until the weather started to warm up and people started to come outside did we notice that it was going to be a much different neighborhood than we had anticipated. This change in our perception of the neighborhood ultimately led to me getting my permit to carry a firearm and that’s when the work I was making took a darker turn. I had an incident on 44th and Lancaster in West Philly where a guy tried to take me to the ATM and I brandished my gun in order to get myself out of the situation. I became really affected by this event that could have resulted in the death of this man. As weird as it sounds, I wanted to place myself at these murder sites to try and understand the place of the victim and the aggressor. I became consumed with what it would have been like to shoot and kill that man who tested me. After that, I kept making work in West Philly with that experience informing the images I was making as well as my new relationship to the city. EA: Have you had any experiences where your role as photographer or the presence of your camera may have altered the outcome of a situation? JB: I can't honestly say that the presence of my camera or my role as a photographer has altered the outcome of any situation. For the most part, my camera stays in my pocket or my messenger bag. I only take it out when it's time to take a photo. Seldom is it ever around my neck. The presence of a camera makes a lot of people suspicious. I've discovered that if I keep it hidden away when I approach a potential subject, there is a good chance that they'll be more than happy to talk to me. After a good while, I'll ask them if I can make a photo of them. If they say no, I still had a conversation with them and maybe that's more valuable to my life and personal growth than a photo so, it's by no means a loss. I feel like carrying a camera around in the open can be pretty prohibitive. Maybe my presence as a human has altered the outcome of a situation? But probably not. Drug dealers and criminals are going to do what they do no matter what. Right now, up the street from me is basically an open-air drug market. Those guys work the corner without much regard for who may see. I'm around there all the time and they sell crack right in front of me. They give pretty much no shits. 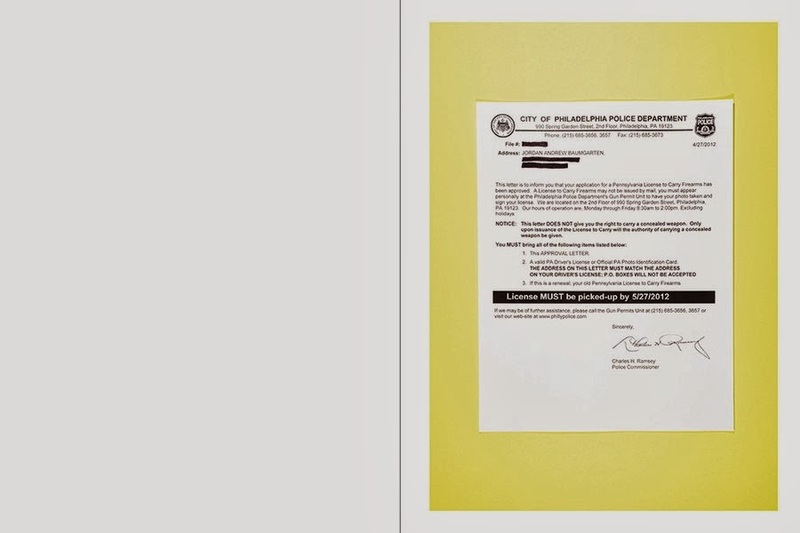 In Philly, I think there is a pretty palpable fear of retribution amongst those doing anything that could come close to anything referred to as snitching. Given that, I don't think my presence affects anybody one bit. EA: Can you describe the process of how Briar Patch started as a Tumblr blog and eventually became a book? JB: In the middle of all of this I was introduced to Jenny Tondera and Charlie Ward (the amazing people behind Parts & Labor Books) and we started talking about the work I was making with the idea of possibly working on a collaborative project together. Their idea about making books is to not simply publish a finished project but to take some ideas the artist may have and work on it all together to create a finished project. Honestly, this project wouldn’t exist without them; it simply wouldn’t be a project, just images floating around the Tumblr ether. I showed Jenny a bunch of stuff I was thinking about and, after the meeting, she started looking at my blog for some ideas. After that, Jenny introduced me to Charlie by email and the process started. After a bunch of emails back and forth between Jenny, Charlie and I decided to make a book about West Philly. But we really didn’t know what it was going to be about yet. I sent Jenny almost every image I had made in West Philly since I moved back. It was 240 images. Jenny then went through and edited out photos that just didn’t work and we sat down and looked at what we had. 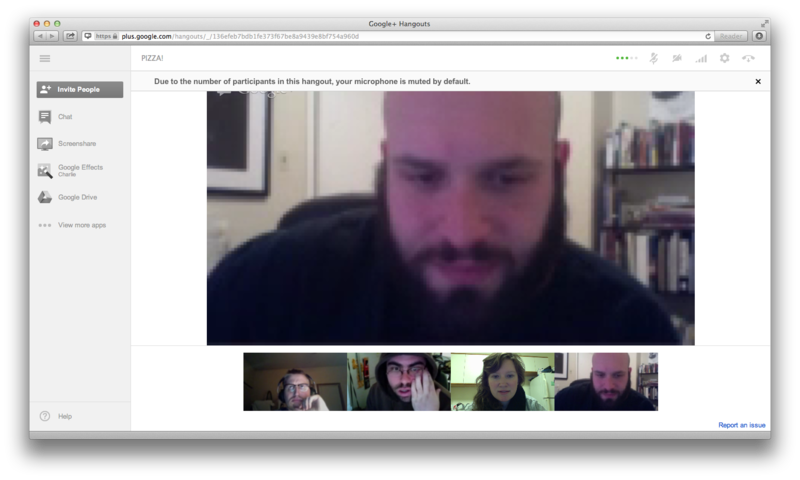 It’s important to say this entire project was actually put together 100% through Google hangouts and dropbox: Charlie was in Minneapolis, Jenny in Brooklyn, and I was in Philly. We would meet online weekly to discuss images, edits, and eventually layouts and sequences. I’d like to think the project was reverse engineered in the same way Robert Frank’s The Americans was. Shoot and shoot and shoot and then look at what you have: look for repeating themes and images and ideas and then go from there. Looking for themes allowed for us to create a structure and a narrative in the book. What we ended up having is this project that was very much about my life with Anne in the context of this neighborhood; a project that touched on issues of race, dissonance, violence, love, loss, and fear. I don’t really feel like this is MY project I feel it’s OUR project; it was such an incredible collaborative experience that it doesn’t feel right to take ownership of it. Are they my photos? Yes. But, to me, that just feels like one ingredient that went into making what this book is.